Mahtab Akhavan Farshchi the founder of IBEA is currently a Senior Lecturer at London South Bank University. 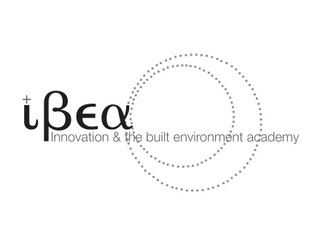 Innovation and the Built Environment Academy was launched following IBEA’s first international conference in London, Innovation and integration: science, technology and policy in the built environment. The book of proceedings was published as an edited copy of the papers which were presented at the first conference. Following the success of this conference, Mahtab organised many seminars and workshops with the aim of generating more interest in interdisciplinary research and collaboration. Mahtab first received her BSc MSc in Architectural Engineering with distinction (National University of Iran) and later she got her MSc in Construction Economics and Management (South Bank University) and her PhD in Economics (University of Reading) under supervision of Professor Mark Casson. During her professional career she has been involved in a range of funded research projects. The common theme and interest in all her research has been innovation. Professor David Bailey has recently been appointed as the chair in Industrial Strategy at Aston Business School in Birmingham. Previously, he was a Professor of International Business Strategy and Economics at Coventry University specialising in international business, industrial policy, regional economic development policy, economic and industrial restructuring, and European integration. He has recently published The Recession and Beyond: Local and Regional Responses to the Downturn (2011) and Rebuilding the City: A Focus for European Industrial Policy? (2012) and also makes regular media appearances as a commentator on business and the economy. Professor Jan Bröchner is the Chair of Organization of Construction, Department of Technology Management and Economics, Chalmers University of Technology Göteborg, Sweden. Professor Jan Bröchner holds the Chair of Organization of Construction at Chalmers University of Technology in Göteborg, Sweden. He is an adjunct member, representing the Swedish universities of technology, of the Research Committee of the Development Fund of the Swedish Construction Industry (SBUF). Currently, he leads the productivity and innovation effect analysis project within Phase II of the ‘Bygginnovationen’ Programme, supported by Swedish Governmental Agency for Innovation Systems (VINNOVA) and an industry consortium. Dr. Mark Brown is an experienced economist and senior executive with a background in business development, strategic planning and the management of change. He joined Amey in December 2011 as Business Development Director of the Consulting business group. Mark’s previous post had been Group Development Director at Halcrow where his responsibilities included leading two company-wide change and business turnaround programmes, prior to the acquisition of the company by CH2MHILL. Between 2007 and 2010, Mark was MD of Halcrow’s Consulting business group, a £60m business serving the transport planning, environment, development planning and business consultancy markets. In 2008, the business group was awarded the British Quality Foundation award for Business Excellence. From 2001 to 2007, he was Consulting’s Development Director, leading a tripling in the turnover of the business. Prior to this, Mark was Economics Director and then Development Director of Halcrow Rail where he led the establishment of a range of relationships with the recently privatised rail industry. Mark has worked closely with public and private sector clients in the UK and overseas. He has led major projects for central government clients; studies for local government organisations; and provided high-level advice to private clients. Mark’s technical background is in applied economics and his technical expertise includes traffic and revenue forecasting, project economics, regulatory economics and PPPs. He has worked in a variety of sectors, including rail, highways, water, development and law enforcement. He has published widely in these areas and is a member of the RAC Trust’s Public Policy Committee, responsible for overseeing the Trust’s transport research programme. Mark has worked extensively within the rail sector over the past 15 years. He has particular experience in advising private ownership groups on a range of franchise bids, acquisitions and PPP investments, in the UK and overseas. He has also worked on a number of high speed rail projects in the UK, Brazil, Australia and Eastern Europe. Professor Mark Casson is a Professor of economics and Director of the Centre for Institutional Performance at the University of Reading. Entrepreneurship, business culture, the economics of the multinational enterprise, business history and transport studies are his main areas of research. He has recently published The Multinational Enterprise Revisited (2009), The World’s First Railway System (2009), Entrepreneurship: Theory, Networks, History (2010) and is currently a consultant to the Department for Businesses Innovation and Skills. Professor Derek Croome is a Co Director and founder of MSc Intelligent Buildings Course at the University of Reading where he is also a Director of the Intelligent Buildings Research Group. He is the editor and part author of this book and also Intelligent Buildings: Design, Management and Operation (publisher / Thomas Telford 2004) also available in Chinese. He has developed a portfolio of projects including sustainability, building facades, system reliability, building rating methodology and design quality (including ventilation) in schools and effects of this on students learning, all funded by EPSRC and DTI ( now TSB).. He is a visiting professor at several universities in China and acts as an external PhD examiner nationally and in Finland. He was Vice-President of CIBSE and chairs CIBSE committees including one on intelligent buildings that has over 5000 members from over 118 countries. He is a research project adviser at Reading University. He has sat on Panels for Engineering and Physical Sciences Research Council and also is a member of their College; he has also sat on a Panel on the Dynamics of Aging for the Economics and Social Sciences Research Council. He is a member of committees for the British Council of Offices. He is a Freeman of the City of London. and Liveryman with the Worshipful Company of Musicians. Branka Dim itrijevic is a Professor at the School of Engineering and Built Environment at Glasgow Caledonian University. She has a BSc in Architecture and Urban Planning, an MSc in Revitalisation of Architectural and Urban Heritage and a PhD in History of Architecture. Her international professional experience and research include history of architecture, sustainable architectural design, urban planning and revitalisation. Since 2000, she has directed multi-institutional knowledge transfer projects between academia and industry such as CIC Start Online (www.cicstart.org) and Mainstreaming Innovation (www.mainstreaminginnovation.org) which have attracted over 3,000 members nationally and internationally. Focus of these two projects respectively is on sustainable building design and refurbishment, and integration of low carbon infrastructures into the built environment. Since 2005, Branka is a Visiting Professor at a PhD course at the Polytechnic University of Bari, Italy, and currently collaborates with the Institute of Architecture and Urbanism of Serbia (IAUS) on the research on the influence of climate change on urban planning. She has given lectures to the students at the University of Basilicata, Italy, and published research undertaken in collaboration with the academics of this institution in 2011. Branka is a member of the Board of Architecture and Design Scotland, 2020 Climate Group Scotland, and was a member of the Board of the former Scottish Sustainable Development Forum. In 2002-2005, Branka was a Co-ordinator of the CIB W102 Knowledge and Information Management in Building. Branka has acted as a reviewer of research outputs of Italian academics, research proposals in Denmark and Serbia, and project proposals submitted to Technology Strategy Board and Nesta. She is a member of the Editorial Advisory Board of the Journal on Cultural Heritage Management and Sustainable Development (Emerald Group) and Arhitektura i Urbanizam (IAUS). Branka acts as a referee for papers submitted to Buildings (Open Access), Construction and Building Materials, Sustainable Cities and Society, Energy Policy, Engineering Sustainability, Facilities, and Journal of Clinical Research and Governance. Maurizio Grilli is the Head of Investment Management Analysis and Strategy, International Research at BNP Paribas Real Estate. He has a degree in Political Science from the University of Genoa, Italy and a MSc in Economics from Birkbeck College in London. He specialises in using the tools and techniques of financial, macro and urban economics to analyse property market processes. Maurizio has been in Grosvenor for more than five years and is responsible for economic research and analysis, long term real estate strategy and capital allocation. In-house research is then used to support the operating companies in Europe, North America and Asia Pacific. Prior to his current appointment, Maurizio was at Cordea Savills and PMA. He has taught at both Italian and UK universities and is currently visiting professor at Luiss University in Rome. He has also produced numerous papers on real estate economics and finance. Professor Hans Haenlein MBE Dip Arch RIBA FRSA is a leading expert in the planning of education and community facilities. He is able to draw on over 40 years experience both as an academic and as a practicing architect. From 1976 – 1991 he was Head of the School of Architecture at South Bank University, and during the latter part of that period Dean of the Faculty of the Built Environment. In 1987 he was awarded the MBE for services to Architecture. Since 1991 he has been Professor of Architecture at the University of Reading where he has designed a Concept Building for the International Centre for Inclusive Environments and carried out research into various aspects of Briefing, Design Management, Construction Management and Inclusive Environments. He has been responsible for the design of many schools, community buildings and urban regeneration projects. Since 1985 he has been President of the Hammersmith Society and is currently RIBA Client Advisor. Dr. Daniel Hulme is the Founder and CEO of Satalia (NPComplete Ltd), a company that provides a unique algorithmic technology and professional services to solve industries optimisation problems. He is passionate about emerging technology and regularly speaks at events with interests in Algorithms, Optimisation, BigData and the Future Internet.Daniel has been awarded a Masters in Computer Science with Machine Learning and Doctorate in Computational Complexity from UCL. Daniel has Research Associate and teaching positions in Information Security and Technology Entrepreneurship at UCL, and is also a Visiting Fellow of the Big Innovation Centre. He is one of the founding members of the UCL Computer Science IMPACT team, responsible for helping pioneer impact initiatives across the Faculty of Engineering. Daniel is an adviser to cross-Atlantic start-ups in the area of Data Analytics and BigData, and is involved with several global organisations in their Open-Innovation initiatives. He owns a small incubation space to help support and cultivate SME’s in London’s Zone 1. Daniel also holds an international Kauffman Global Entrepreneur Scholarship and actively promotes entrepreneurship and technology innovation in the UK and US. Professor Naoji Matsumoto is Professor of Architectural Planning at the Human Space Field, Graduate School of Architecture, Civil Engineering and Industrial Management Engineering, Nagoya Institute of Technology, Japan. He graduated from the Department of Architecture, Faculty of Engineering at Tokyo Institute of Technology and Graduate School of Architecture at Tokyo Institute of Technology and obtained a doctoral degree of engineering from Tokyo Institute of Technology. In his professional career he has been a visiting fellow at Berkeley and University of Surrey as well as many other Japanese universities. He has been the Head of Department of Architecture & Civil Engineering at Nagoya Institute of Technology and been invited as a keynote speaker to many international conferences and workshops in Asia. Naoji is a member of JIA(Architectural Institute of Japan), City Planning Institute of Japan, Association of Urban Housing Sciences; MERA(Men Environment Research Association), JASIS(Japan Society for Interior Studies), Association for Children’s Environment. He has presented his research at many international conferences in Japan and abroad. Professor Ram Mudambi: Professor and Perelman Senior Research Fellow at the Department of Strategic Management, Temple University. The geography of innovation is one of his main research interests and his current focus is on technology and innovation management, studying both multinational as well as entrepreneurial firms. Professor Mudambi has published over 80 refereed journal articles and 6 books, as well as serving on the editorial boards of numerous business and management journals. Professor Nick von Tunzelmann began his career as a lecturer at the University of Canterbury, New Zealand. He was a Fellow of St John’s College, Cambridge and lectured in the Faculty of Economics & Politics at Cambridge University between 1970 and 1984, before joining SPRU in 1984. His research interests include: The emergence and development of complex technological systems; Managing technological and product complexity; Technology and competitiveness of European industries; International technology transfer; Long-run evolution of technologies; Evolutionary approaches to governance. He has given presentations to government officials in the UK, Spain, Eastern Europe, Brazil, New Zealand, and elsewhere, and to international organisations such as the United Nations and European Union. He was UK editor of Industrial and Corporate Change (OUP) from 1991 to 2004, and more recntly an editor of Research Policy, as well as a member of the Editorial Board of Structural Change and Economic Dynamics (Elsevier) since 1989.